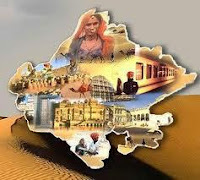 Rajasthan GK Question in Hindi Sample Paper 173: Rajasthan General Knowledge Sample Question Paper with Collection 15 Question of Rajasthan GK Questions for RAS, Rajasthan Police, REET, SI, Contable, Patwari and other state exams under GK Quiz in PDF @ Rajasthan GK Sample Papers. Rajasthan General Knowledge (GK) and General Studies (GS) Questions from various examinations of Rajasthan Govt. and central Govt Examinations. Q.3357. 'आए थे हरि भजन को ओटन लगे कपास' का सही अर्थ स्पष्ट कीजिए? Q.3358. हड़प्पा सभ्यता के अंतर्गत हल से जोते गये खेतों के साक्ष्य कहाँ से मिलते है?